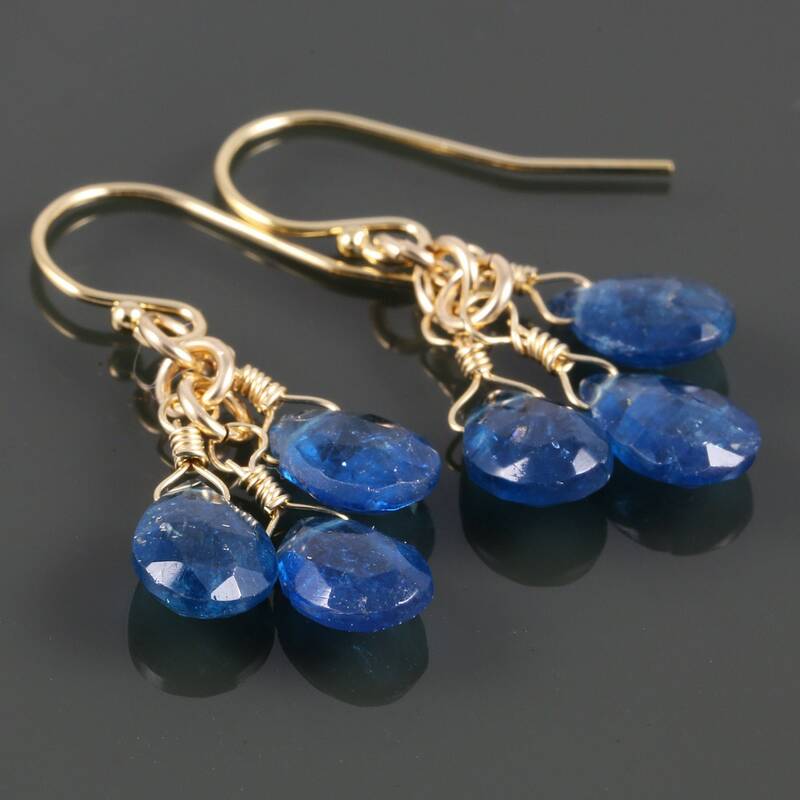 Blue Apatite Cluster Earrings. Three Stones. Gold Filled Ear Wires. Genuine Gemstones. These elegant earrings each have three small genuine blue apatite briolettes dangling from them. The stones measure about 6x8mm. I wire-wrapped each stone individually with gold-filled wire and connected them with gold-filled jump rings. The apatite stones are a lovely teal blue color. These earrings have gold-filled ear wires and are approximately 1-3/16 inch (3.1cm) in overall length. Blue Apatite Cluster Earrings. Three Stones. Rose Gold Filled Ear Wires. Genuine Gemstones.